As clear as frozen water, and even more pure, these single blocks of glass are created by American artisans using centuries old techniques. What a lovely gift for a lady or gentleman. Design, craftsmanship, and the highest quality materials make these troubadours of light an essential part of your home. Change moods with different lightbulbs; turn a work space into a reading nook by clustering pendants. Distressed white finish. Adorable in so many settings. Wall color shows through the clock so it pops. We love the relaxed beauty of this carved piece in a rustic or formal home. Fits nicely on a narrow table, sideboard, or dresser. Lamp accommodates a standard 2-way bulb maximum 100W. Inspired by Pure, a collection of one-of-a-kind glass objects from Simon Pearce, our Middlebury Pendants are marked by organic lines and a substantial wrap of glass around the middle of the pendant. Available in wide and tall. DISCONTINUED ITEM - LIMITED AVAILABILITY. Simon Pearce Emerson Pendants are marked by straight lines and a sleek cylindrical shape. Streamlined perfection. Simple, but never austere. 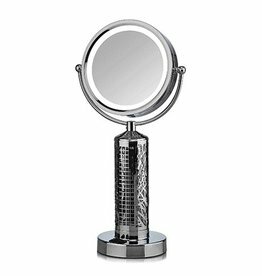 A lighted vanity mirror with tower fan is an absolute "must have" for any woman. Too hot outside to entertain? Never! 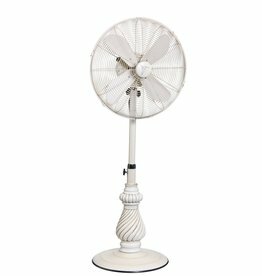 Our adjustable 18” oscillating Outdoor Fan keep you cool and shoo bugs away. Black blends into any outdoor decor - classic to rustic. Bold. Streamlined. A little art deco. Brilliantly clear. Some might call this the perfect light. Each pendant is handmade by Simon Pearce glassblowers using centuries-old techniques; please allow 4-6 weeks for delivery. Our Emerson Pendants are marked by straight lines and a sleek cylindrical shape. Streamlined perfection. Simple, but never austere. 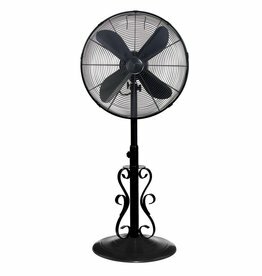 This beautiful adjustable Outdoor Fan will keep you cool and shoo bugs away. Its off-white weathered effect, combined with classic curves and clean lines, creates a shabby chic look thats accompanied by a welcome, cooling breeze. Perfect for your rustic kitchen, dining or bar. Group for dramatic effect. Black cord. Needs to be installed. The soft light and gentle curves of the Chelsea Pendant are made for dancing. Or reading by the fire. Or enjoying the company of good friends. As clear as a block of frozen water, and more pure, these fabulous American made clocks are a stunning accent to any desk or table. They will lie on their side or end.